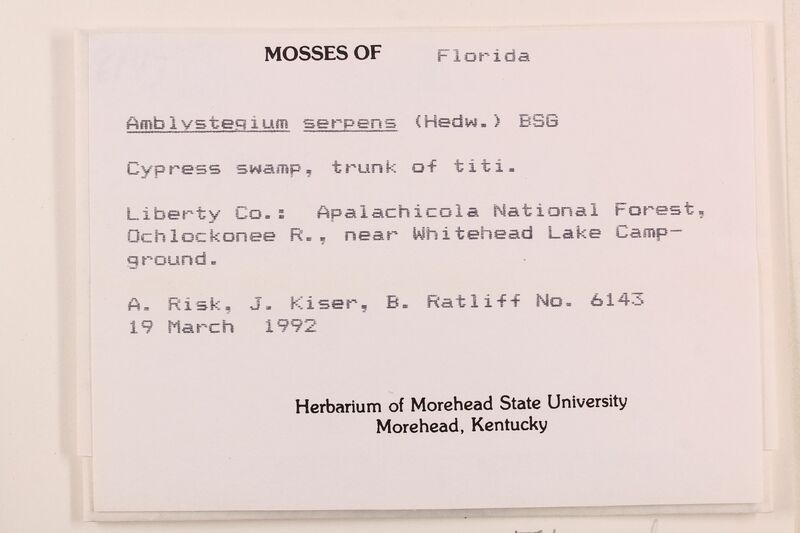 Locality: United States, Florida, Liberty, Apalachicola National Forest. Ochlockonee R., near Whitehead Lake Campground. Habitat: Cypress swamp, trunk of titi.